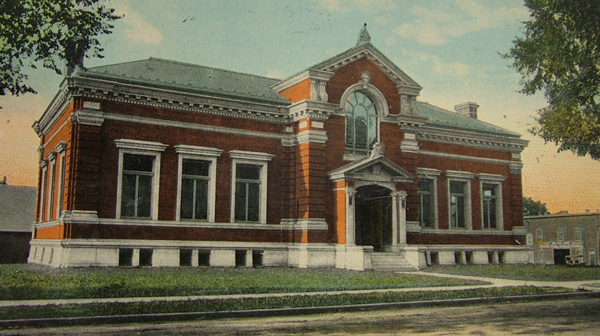 Burlington’s only public library since 1875. Open daily at 10AM, Noon on Sunday. Meta Strick is a mixed media artist who makes one-of-a-kind Art Dolls, ornaments, paintings, and other decorative objects. Her work often tells a story, presents a feminist message, or offers hopeful inspiration. 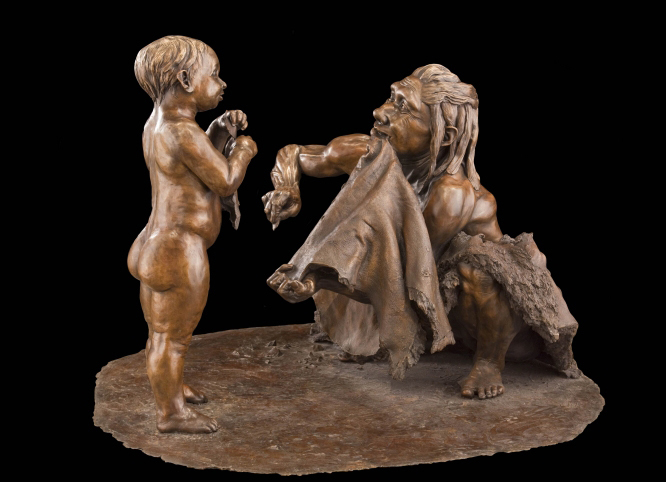 Meta has taught studio art and art history classes at Community College of Vermont for over thirty years. 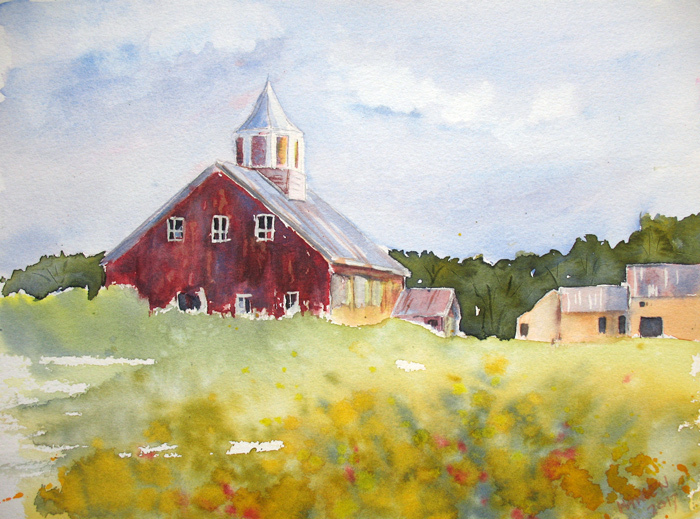 In addition to participating in art fairs, she regularly offers workshops at her studio. As a response to the 2016 U.S. Presidential election, on Inauguration Day, January 20, 2017, India Tresselt began a small practice of daily resistance: every day, India stitches the words THIS IS NOT NORMAL. This practice has taken several forms, including small themed pieces, large Cloths of Resistance, and the first in a series of Flags of Resistance. “The point of this resistance practice is not to suggest that there is some magical normal from which we have deviated and to which we should return, but rather to remind myself every day that we must not allow the current situation to become accepted as normal.” India is a fiber artist from the Champlain Valley. Knitting, temari and embroidery are her passions. In response to the 2016 U.S. Presidential election, Sarah Rosedahl started creating editorial cartoons, often using chickens to communicate a message. After creating dozens of cartoons, Sarah published the collection as the book, What the Cluck. Rosedahl is an artist and recovering software engineer. After working in the high tech industry for 30 years in California and New Orleans, Sarah now lives in Vermont where she is inspired by the wildlife and agriculture of the Lake Champlain Islands. Sarah works in watercolor, acrylic and mixed media and especially enjoys painting birds, both wild and domestic. Recent architectural photographs by Martin Bock. 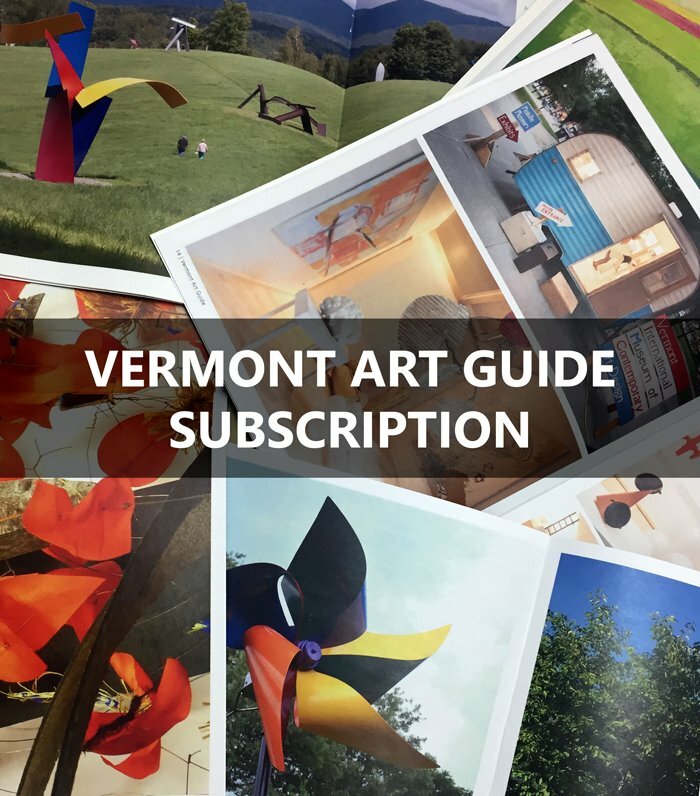 Photographs and paintings of the Vermont landscape and wildlife by photographer, Sharon Radtke, and Annette Hansen, watercolorist and acrylic painter. Sharon Radtke has lived in Milton for almost ten years in a lovely spot called the Pond House. Her backyard has provided plenty of inspiration for her work. She has photographed 42 species of birds and other wildlife. Many are included in this exhibit. Her newest project is the creation of a greeting cards series: Pond House Birds Silhouette Greeting Cards with a matching 2018 calenda. Radtke is the owner of SharonT Events, LLC and is also adjunct faculty in the Division of Communication and Creative Media at Champlain College. Annette Hansen specializes in landscape painting and is a fiber artist. She is an art teacher and the owner of Make Life Cozy. Main Reading Room: The “Imagining Home” Project was conceived by Burlington artist Alison Cannon in response to the belief that small cities like those in Vermont have the capacity to house all of their citizens. Encountering homeless citizens on a daily basis in Burlington and noticing structures constructed in the area parks and wooded lots, Cannon began to wonder what design ideas would emerge from partnerships between homeless citizens and area architects. News of Medicine Hat, Alberta, which successfully housed all of its citizens, fueled the idea of this project and with generous funding from the Burlington City Arts Community Arts Grant, the “Imagining Home” Project was born. The exhibit is the result of numerous hours of interviews conducted with seven different architect/participant pairings. These partnerships allowed the voices of the participants to be heard and to weigh heavily in the design process. Seven individuals shared intimate details of their struggles and resilience with socially engaged architects who valued the opportunity to hear directly from those affected by homelessness. Presented at the Fletcher Free Library are the original designs resulting from this process of discovery. Each interview revealed a unique story and each participant shared their individual vision for a structure that would meet their most immediate needs. It was remarkable that even in the face of their own challenges, these dedicated individuals considered the broader needs of their community before their own. Mezzanine Balcony: “Voices of Home” is an initiative of the Vermont Affordable Housing Coalition which pairs the audio stories of individuals who live in affordable housing with painted portraits, driving community conversations around the importance of home lead by our most vulnerable people. 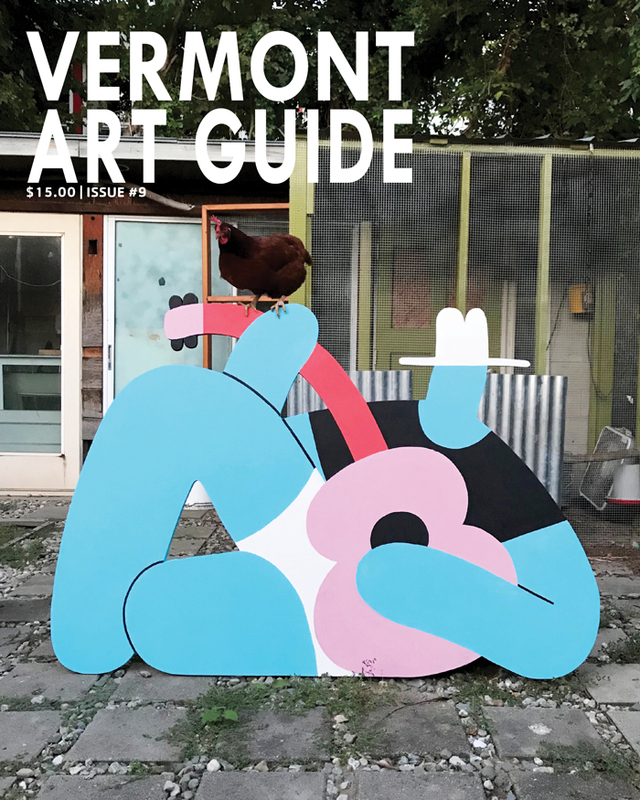 With the support of The Vermont Arts Council, Burlington City Arts, the Vermont Folklife Center, and CVOEO’s Thriving Communities, artist Corrine Yonce has interviewed and painted twelve resident from all different affordable housing communities statewide. Fletcher Room: FOMAH art group originated about 4 years ago as the offshoot of a Senior Fitness class at the Miller Center. Members of the class discovered they had common interests in the arts. They meet regularly to offer one another encouragement, inspiration, and feedback. A variety of media are represented in the show including watercolor and oil painting, photography, poetry, and jewelry with beads and fiber. Current members of the group are Deni Bergne, Julia Boynton, Cynthia Close, Susan DeClues, Nancy Ellis, Joyce Reddy-Bradbee, Karl Sklar, Claudia Stoeffler, Lea Terhune, Pam Valance, Mary Western, and Margy and Sandy Zabriskie. Dorothy Perry is a guest member who will also show her work. Many of the works are for sale. The show features senior artist Dorothy Perry, who has donated for sale many of her watercolor paintings for the benefit of the library. Readings by Cynthia Close and Friends from recent original works: Wednesday, August 9, 6:30-8PM and Saturday, August 26, 3-4:30PM. Main Reading Room: Strength in Numbers is a group of Vermont art teachers who come together for monthly meetings to support each other in their art making; giving them the purpose they need to engage and persist in art making. 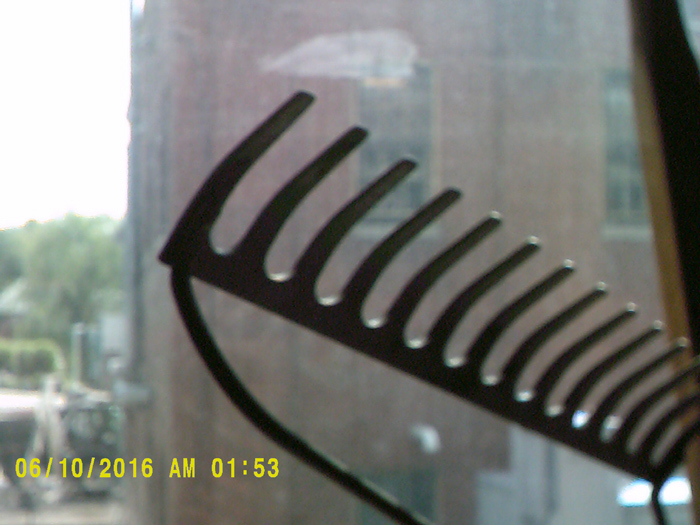 Fletcher Room: A school-wide photography project from the Integrated Arts Academy. Each student has a 17″x22″ portrait taken with their family, and submits a writing sample about their family to be displayed below the portrait. The project celebrates the rich diversity of IAA families. 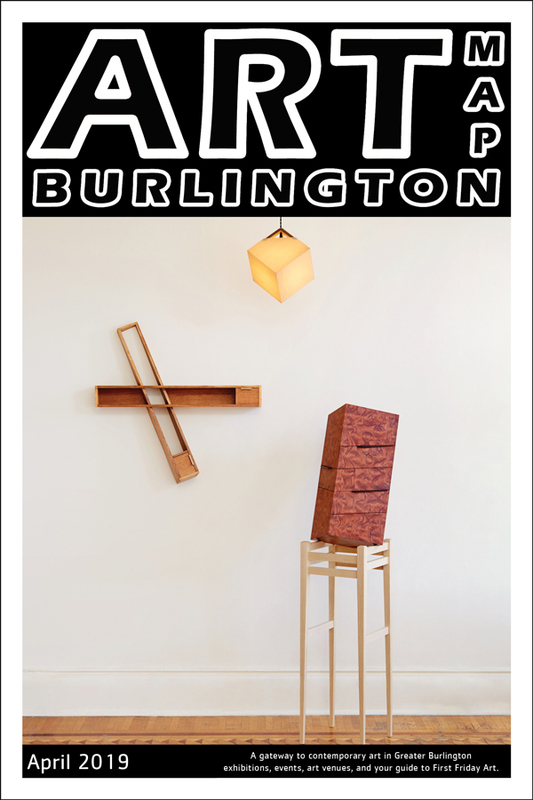 The exhibit is curated by Judy Klima, Arts Coach and IAA intern, Christina Bruno. Fletcher Room: Sarah Rosedahl is an artist, author and illustrator for Sloggers. 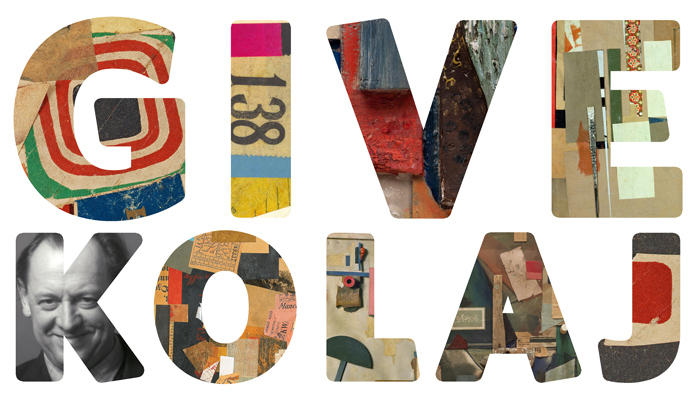 In January 2013 and January 2014, Rosedahl created a painting per day inspired by Mary Oliver’s poetry. This collection of paintings is displayed with Mary Oliver’s books of poetry and an index of the paintings so that people can look at the paintings and cross reference with the poem that inspired them. The library’s Main Reading Room is a science exhibit space for the month. Explore milestones in the evolutionary journey of becoming human through panel displays, interactive video kiosks, sculpture and casts of early human artifacts — from walking upright, creating technology and eating new foods, to brain enlargement and the development of symbolic language and complex societies — advancements that define the unique position of humans in the history of life. Programs for all ages will be offered. Meet archaeologists and anthropologists from the Smithsonian. Check FFL’s Human Origins website for details. Josh Simms from Bellcate School and Adam Forguites from the Howard Center curate an exhibit of new works. James Gero is a photographer, videographer and producer, known for his local program, The Artful Word. In the Pickering Room, “The Way We See Things: An Awesome Photography Show” is a collection of digital photographs taken over several weeks in the Spring of 2016. Participants experimented with a variety of photographic styles and subjects, providing glimpses into life as they know it. 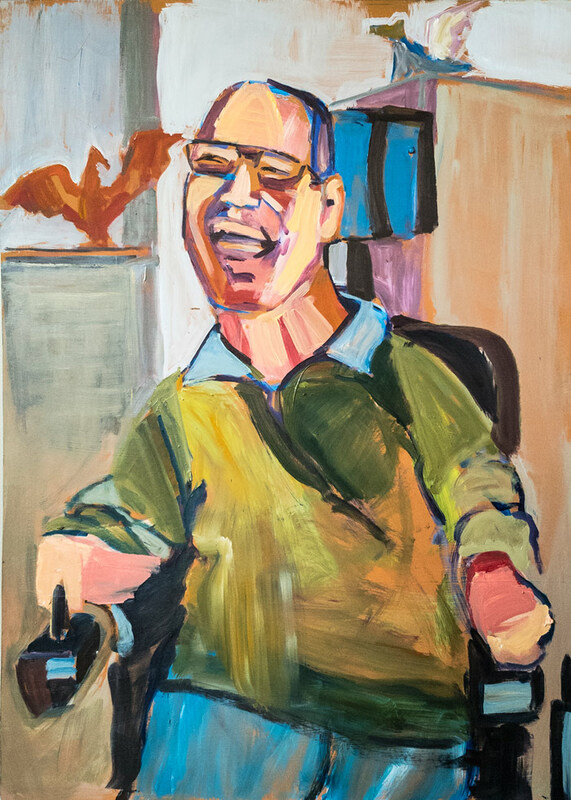 VSA Vermont, a statewide non-profit, uses the magic of the arts to engage the capability and enhance the confidence of children and adults with disabilities. Begun in 2013, The Arts Collective is a collaborative project between artists who provide and receive mental health services. Open to work in all media, their focus is on equality and supporting member’s creative process. 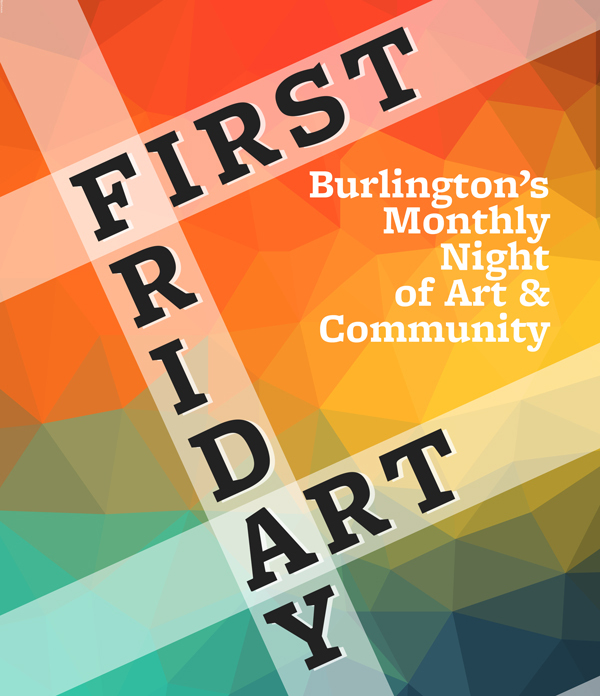 They meet together twice a month to share new work and show regularly in the Burlington area. 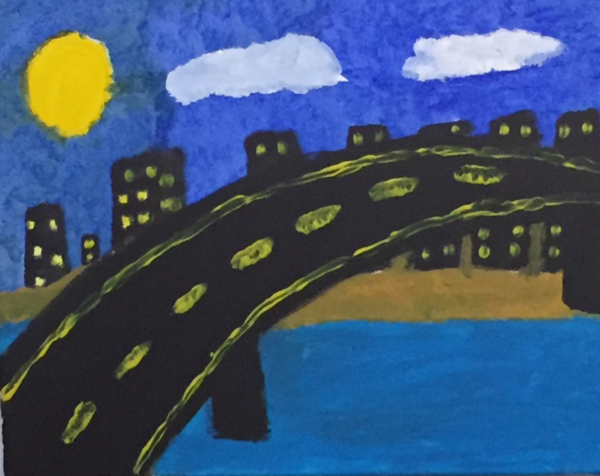 This exhibit of new work includes pieces by students at the Bellcate School.